Alexander Graham Bell is famous as the inventor of the telephone. Is his fame owing to law and lawyers? Two recent histories argue that some popular tales of invention originated with lawyers and judges as part of patent litigation battles. (Stathis Arapostathis and Graeme Gooday, Patently Contestable: Electrical Technologies and Inventor Identities on Trial in Britain (2013); Christopher Beauchamp, Invented by Law: Alexander Graham Bell and the Patent that Changed America (2015)). Bringing law into the historical project of understanding the social construction of technology, the authors unsettle great man narratives of invention. A tale of a recent patent war, however, is a case study in the persistence of such narratives, highlighting the uses of legal storytelling. (Ronald K. Fierstein, A Triumph of Genius: Edwin Land, Polaroid, and the Kodak Patent War (2015)). Together, these works invite consideration of the cultural power possessed by invention origin stories, the role of narratives in law and history, and the judicial performance of truth-finding in Anglo-American law. Elbridge T. Gerry (1837-1927) was a prominent and influential Gilded Age New York trial lawyer, philanthropist and bibliophile whose 30,000 volume library became the foundation of the United States Supreme Court Library. Grandson of Founding Father Elbridge Gerry, who signed the Declaration of Independence, Dowling's extensively illustrated biography of Gerry highlights the influence of his family and its links to other prominent New York families, the Gallatins, Goelets and Livingstons. This biography of Gerry is also the story of Gilded Age New York, when the glamorous society balls that provided entertainment to wealthy New York families such as the Astors and Vanderbilts belied their philanthropic contributions in the Progressive era. Gerry built the first steam yacht, the Electra, which became the flagship of the New York Yacht Club while he also sat on hospital boards and founded the New York Society for the Prevention of Cruelty to Children which still operates today. As Dowling shows, Gerry's brilliance and passion was at the heart of it all. With its growing number of U.S. archival collections, the RSC attracted thousands of researchers from several continents and featured a vibrant program of international conferences, seminars, public lectures, Ph.D. and other research projects, and a steady flow of publications. 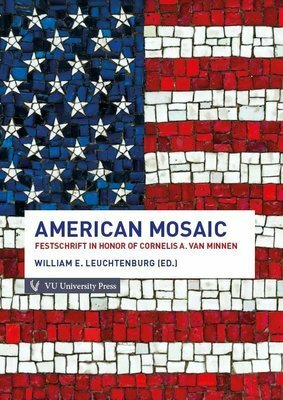 In appreciation of Cornelis van Minnen’s more than three decades of dedication to the RSC and of his many contributions to the study of American history and U.S.-European relations, a stellar cast of European and American scholars band together in this Festschrift with a mosaic of essays about America as varied as their current interests in U.S. history and culture. In the London Review of Books, Andrew Bacevich covers The General v. the President: MacArthur and Truman at the Brink of Nuclear War by H.W. Brands, which, according to Bacevich, treats the conflict as “seemingly sui generis,” rather than a “challenge inherent in reconciling democratic practice with the exercise of militarised global leadership.” Which sitting president might evince the timelessness of this challenge? Legal historians, you will have to read the review yourself. In the NY Times, Robert Reich reviews two books on inequality: The Fate of the West: The Battle to Save the World’s Most Successful Political Idea (by Bill Emmott), and One Another’s Equals: The Basis of Human Equality (by Jeremy Waldron). From both books, he derives that “the culprit is not economic inequality per se. It is the political inequality that economic inequality can spawn.” In the same publication, Elizabeth Hinton reviews three books about race and policing, including works by David O. Brown (Dallas Police Chief) with Michelle Burford, Paul Butler, and an edited volume by Angela J. Davis. Both the edited volume and Butler’s work highlight race jurisprudence of the last fifty years. Viewing these developments historically--and including an analysis of post-Reconstruction racial policies, convict leasing and Jim Crow--Butler underscores the hollowness of these reforms: “Civil Rights laws have helped stigmatize discrimination,” he writes, “but have barely blunted its effect.” Butler’s book is reviewed in the Washington Post, as well. A conversation with Justin Gest about The New Minority: White Working Class Politics in an Age of Immigration and Inequality, which “examines how this group has been relegated to the political margins in their respective countries,” by studying Youngstown, Ohio and East London. A review of the textbook Global Americans: A History of the United States, edited by Maria Montoya. A conversation with Claire D. Clark about The Recovery Revolution: The Battle Over Addiction Treatment in the United States, which covers Charles Dederich--creator of the “residential ‘therapeutic community’”--and changing approaches to addiction treatment in the 1960s. A conversation with Gerben Zaagsma about the Naftali Botwin Company, a Jewish military unit in the Spanish Civil War, and his book Jewish Volunteers, the International Brigades and the Spanish Civil War. From the Washington Post's "Made by History" section: Ronit Stahl (University of Pennsylvania) and Jennifer Mittelstadt (Rutgers University) on why "Trump’s trans ban isn’t just anti-gay. It’s anti-military"; Cornelius L. Bynum (Purdue University) on "How the stroke of a pen changed the army forever"; Sarah Seo (Iowa Law) on "How the fight over civil forfeiture lays bare the contradictions in modern conservatism"; and more. From the Take Care blog: Bernadette Meyler (Stanford Law School) on "Undemocratic Pardoning." The Rice University History Department has posted a nice tribute to Thomas Haskell, who passed away on July 12. Another lovely one, by Amy Kittelstrom, appears here, on the U.S. Intellectual History Blog. On Vermont Public Radio, Felicia Kornbluh (University of Vermont) remembers the Americans with Disabilities Act. The first complete English translation from the Latin of Gottfried Wilhelm Leibniz's Nova methodus discendae docendaeque Jurisprudentiae. Better known for his contributions to philosophy, metaphysics and mathematics, as co-discoverer along with Isaac Newton of calculus, Gottfried Wilhelm Leibniz was also an attorney, diplomat, state official and judge of the Mainz Court of Appeals. The New Method of Learning and Teaching Jurisprudence is his prescription for a curriculum of study for lawyers and as such is an important indicator of the origins of legal education in the late renaissance year of 1667, when John Milton published Paradise Lost. Already translated into German and French, this is the first unabridged translation of the 1667 Frankfurt edition in a modern language, a new direct translation of the Latin text with notes by Carmelo Massimo de Iuliis (Department of Public and Private Economy Law, Universita Cattolica del Sacro Cuore, Milano). The translation is enhanced by De Iuliis' introduction that offers a biographical sketch of Leibniz, an overview of the reception of his ideas and a discussion of Leibniz' views on the philosophical concepts of logic and rhetoric as applied to the study of jurisprudence and a systematic reconstruction of legal systems. 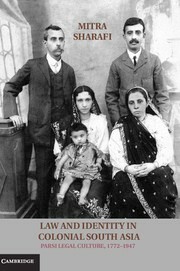 Full information on the book is available here. (a) understanding the relation between property and long-term economic change by focusing on the relation between property law and what historians call “social property” relations; (b) understanding property concepts and ideas in the context of the larger ideological and philosophical ideas that shaped the immediate world of jurists and property lawyers; (c) looking beyond the single, contingent episodes of the history of property law and identifying long-term patterns and regularities in the way jurists conceptualized property; and (d) understanding European property culture in its many entanglements with the non-European world. The last decade or so has witnessed a burgeoning of literature on the role of cross-jurisdictional influences in the design (as well as subsequent interpretation) of national constitutions. The consensus emerging from that literature is that transnational borrowing in the course of constitutional making is both inevitable and impossible. In a globalized world, those involved in the design of a new constitution naturally look beyond their borders for inspiration. Borrowing is thus endemic. But borrowing, in any true sense, is also impossible because in the process of migration, constitutional ideas must be de- and then re-contextualized in order to fit them for the new legal system. What, though, if the object of transnational influence is not a constitutional text or an institutional mechanism but, rather, a scholarly theory? That is the question addressed by this article. Specifically, the article examines the intriguing (and little known) story of how John Hart Ely’s representation-reinforcing theory of (American) constitutional interpretation was transformed into a blueprint for the design of the New Zealand Bill of Rights Act. It suggests that Ely’s journey to the South Pacific has the potential to illuminate both the study of constitutional migration generally and, more specifically, the linkages between comparative law and constitutional theory. "JEV-Fellowship for European Administrative History"
At the end of 2012 Prof. Dr. Erk Volkmar Heyen, who served as Professor of Public Law and European Administrative History at the Ernst-Moritz-Arndt University of Greifswald until his retirement and as editor of the “Jahrbuch für europäische Verwaltungsgeschichte/Yearbook of European Administrative History” (JEV), which ran from 1989 to 2008, endowed a research fellowship in the field of European Administrative History ("The JEV-Fellowship for European Administrative History"). The fellowship falls within the framework of the German University Foundation (Bonn, Germany). The Board of the German University Foundation awards the fellowship based on the recommendation of a jury, which is based at the Max Planck Institute for European Legal History (MPI) in Frankfurt. First time applications for a scholarship commencing in January 2018 can be submitted until 30 September 2017. Applications in English or German should be sent in electronic form to: Priv.-Doz. Dr. Peter Collin, collin@rg.mpg.de. The application, which must also indicate the intended duration of the fellowship, should include: a tabular CV with details on the nature and course university education with copies of examination results and diplomas to be enclosed, a list of scientific publications, where applicable; a detailed description of the research project including a detailed outline, a detailed report on the current state of the project and writing progress, including the reasons for any delay in its completion; extensive excerpts from the manuscript; information on the project’s previous, current and planned financing arrangements; a precise timetable to complete the manuscript within the duration of the fellowship. Furthermore, at least one expert opinion on the research project and a personal reference from a university lecturer are to be submitted directly to the jury. given the opportunity to present and discuss their research projects with members of the Institute. When Louisiana enacted its Digest of the Civil Laws in 1808 and Quebec its Civil Code of Lower Canada in 1866, both jurisdictions were in a period of transition - economic, social and political. In both, the laws had originally been transplanted from European nations whose societies were in many ways different from theirs. 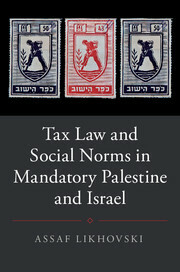 This book offers the first systematic and detailed exploration of the two new codes in light of social and legal change. Cairns examines the rich, complex, and varying legal cultures -- French, Spanish, Civilian and Anglo-American -- on which the two sets of redactors drew in drafting their codes. He places this examination in the context surrounding each codification, and the legal history of both societies. Cairns offers a detailed analysis of family law and employment in the two codes, showing how their respective redactors selected from a defined range of sources and materials to construct their codes. He shows that they acted relatively freely, attempting to inscribe into law rules reflecting what they understood to be the needs of their society from an essentially intuitive and elite perspective. While not propounding a universal theory of legal development, Cairns nonetheless shows the types of factors likely to influence legal change more generally. This comparative study looks at the laws concerning the murder of slaves by their masters and at how these laws were implemented. Andrew T. Fede cites a wide range of cases—across time, place, and circumstance—to illuminate legal, judicial, and other complexities surrounding this regrettably common occurrence. These laws had evolved to limit in different ways the masters’ rights to severely punish and even kill their slaves while protecting valuable enslaved people, understood as “property,” from wanton destruction by hirers, overseers, and poor whites who did not own slaves. To explore the conflicts of masters’ rights with state and colonial laws, Fede shows how slave homicide law evolved and was enforced not only in the United States but also in ancient Roman, Visigoth, Spanish, Portuguese, French, and British jurisdictions. 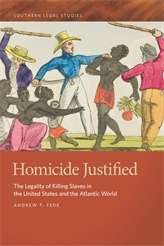 His comparative approach reveals how legal reforms regarding slave homicide in antebellum times, like past reforms dictated by emperors and kings, were the products of changing perceptions of the interests of the public; of the individual slave owners; and of the slave owners’ families, heirs, and creditors. Although some slave murders came to be regarded as capital offenses, the laws consistently reinforced the second-class status of slaves. This influence, Fede concludes, flowed over into the application of law to free African Americans and would even make itself felt in the legal attitudes that underlay the Jim Crow era. In the vast literature on American war powers, attention is rarely paid to the product of war – the dead human body – and its impact on war politics and war powers. In legal scholarship on the war powers, the practice of war usually happens in the background. Presidents, Congress and courts are in the foreground. Killing in war is thereby a background phenomenon – an aspect of the social context within which the war powers are exercised. This Essay puts death at the center of the analysis. Drawing upon the insights of important recent historical works on death, I argue that the dead body has a political life. The political history of American war death recasts an important problem in the history of American war powers: the atrophy of political restraints on presidential power. Using historian Drew Gilpin Faust’s idea of a “republic of suffering” in the Civil War as a point of departure, the Essay argues that the culture of American war changed when American wars became only foreign wars. The principal character of American civilians’ relationship to war death in the 20th century was distance from the carnage. Distance accomplished two things: first, a “republic” framed in relation to war death was lost; and second, the U.S. government could exert control over what civilians at home could perceive. Massive mobilization during World War II might appear to be a challenge to the argument that distance from the battlefield matters, so the Essay examines the American civilian experience with war’s violence during that war. Using censored and uncensored World War II casualty photographs, I show the way the very view of war death was managed by the U.S. government for the purpose of maintaining domestic mobilization. Civilians therefore engaged a curated view of death meant to enhance their support for the war effort. The change over time in the civilian experience with war is not recognized in the literature about war and American law. Instead, legal scholars tend to use the Civil War as a more important historical example than Cold War conflicts, even though the Cold War era bears more resemblance to the present context (militarily and in the impact on U.S. civilians). Meanwhile, cultural distance from war death has increased, helping to produce the profound apathy that characterizes contemporary American war politics. This apathy enables the current legal structure of war authorization: Congress fails to act, and presidents rely on new interpretations of outdated authorizations, or their own constitutional power. Ultimately, I argue, a crucial and unexamined factor in the atrophy of political restraints on presidential power to use military force is the distance between American civilians and the carnage their wars have produced. This research article analyzes two decisions of the Supreme Court of Colombia, as a constitutional tribunal under the Constitution of 1886, where it defended the right to private property against expropriations ordered by decrees of state of siege enacted by the President of the Republic; although, in these decisions it avoided ruling on the limits of the executive branch under the state of siege. Thus, by means of a political history of judicial review, this article explains the strategic behavior of the Court in two different stages: the first, in its inaugural moment as a constitutional tribunal in 1912, and the second, under the military rule of General Gustavo Rojas Pinilla in 1954. Those decisions show the political role of the Court, and the interdependence between politics and law in the construction of the judicial review in Colombia. "John Beattie was born and raised in Dunstan, England, near Newcastle upon Tyne. During the war he and his sister were temporarily relocated to the countryside. After the war Joyce married an American serviceman and the entire family moved to Napa, California. John attended the University of San Francisco where he studied history and captained the soccer team. In 1988 he was inducted into the USF Sports Hall of Fame. John earned a master's degree from the University of California at Berkeley. It was there that he met Susan, the love of his life. In 1957 they moved to the UK where Susan taught school while John earned his PhD from King's College Cambridge, under the supervision of J. H. Plumb. In 1961 he accepted a teaching position in the History department at the University of Toronto, the start of a thirty-five year career. In the late 1960s John turned his academic attention to the subject that was to define his ground-breaking research, publishing career and reputation: crime and the administration of justice in 18th century England. He published many articles along with five books including his seminal work, 'Crime and the Courts in England, 1660-1800. 'In the 1970s, John's burgeoning academic pursuits happily coincided with the creation of the U of T's Centre of Criminology, the beginning of what was for John a significant, decades-long association; one that included two stints as the Centre's Director. Yet as important as research and writing were for him, John's great love was teaching. He believed this was a university's most essential mission and the truest test of what its core values should be: openness, curiosity and rigour. John always took immense pleasure in the work of his graduate students and joy in all their successes, academic and otherwise. His spirit of generosity towards them extended to colleagues in the field, to his and Susan's neighbours and to their many friends, and their families. Above all else John's credo was fairness. He insisted on it in his own assessment of the past and lived it in his dealings with the people in his life, no matter how long or short his association with them. Upon his retirement in 1996 John was a U of T University Professor Emeritus. He and Susan spent many wonderful summers at their cottage on Pencil Lake where John played business manager, transportation director and chief glaze-consultant for Susan Beattie Pottery, happily assuming the supporting role for Susan's pottery-making that she had devoted to his academic work. It was a lifelong partnership in all the best ways. It was at Pencil Lake, too, that he fell in with a group of golf buddies, found later in life, whose Tuesday rounds on courses across the Kawarthas gave him so much pleasure. John's work drew praise and many awards but his most truly important successes came elsewhere: devoted husband, loving father, nurturing grandfather and loyal friend. Cremation has taken place. There will be a celebration of his life in the fall academic term, details to be announced." The Supreme Court: At a Tipping Point? Examining a previously unexplored trove of letters, this article sheds new light on the thinking and work of William L. Prosser, the past century’s leading torts scholar. In these letters to family written while dean of the University of California, Berkeley School of Law, Prosser candidly describes his approach to scholarship; the development of his casebook, the second edition of Prosser on Torts, and some of his most well-known and influential articles. Moreover, Prosser provides his often-cynical impressions of the legal process; his views of his peers at Berkeley and at other institutions; and his work as dean. The letters also demonstrate some of Prosser’s limitations, including his craving for attention, a sometimes petty personality, and racial and ethnic biases. In all, the letters capture a scholar at the zenith of professional accomplishment in his field, who nevertheless showed signs of the insecurity that would later trigger his resignation from the Berkeley deanship and retreat from the forefront of torts scholarship. Lahav on Kessler, "The Invention of American Exceptionalism"
Amalia Kessler’s book, The Invention of American Exceptionalism, is a rich history of American procedural development. The book, which is meticulously researched, sets procedural developments in their political context, and is an excellent example of a social history of law. 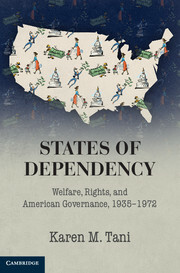 She describes the relationship between 19th-century procedural developments and struggles over both capitalism and race. She traces English influences on our history, such as the development of equity practice, and French influences, such as the Freedmen Bureau Courts, which were inspired by French conciliation courts. 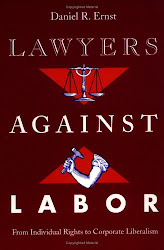 Among other things, Kessler unearths the American equity tradition and with it fights over judicial power versus lawyer (and jury) power, as well as the development of lawyering as we know it today. 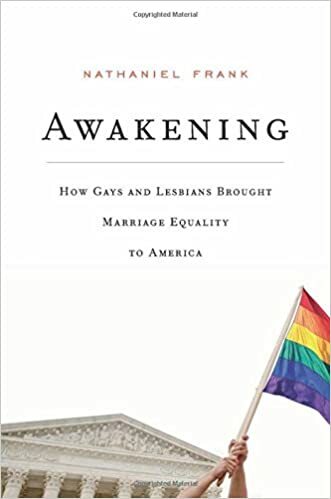 There is too much in the book for me to adequately summarize it, so instead I will offer two vignettes from the book, the first conceptual and the second a narrative, both focused on the antebellum history of equity. Public Books carries a review of Ibram X. Kendi's "refreshing" and "courageous" Stamped from the Beginning: The Definitive History of Racist Ideas in America. 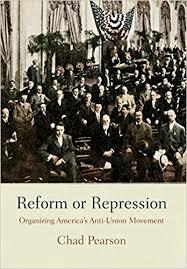 At HNN, Nate Holdren reviews Elizabeth Anderson's Private Government: How Employers Rule Our Lives (and Why We Don’t Talk about It) and Chad Pearson's Reform or Repression: Organizing America's Anti-Union Movement. The Times Literary Supplement carries a review of Joel Dinerstein's The Origins of Cool in Postwar America (also reviewed in the Washington Independent Review of Books). In The Economist is a review of The Addis Ababa Massacre: Italy’s National Shame by Ian Campbell. At H-Net is a review of Saikrishna Bangalore Prakash's Imperial from the Beginning: The Constitution of the Original Executive. The Georgia Peach: Culture, Agriculture, and Environment in the American South by William Thomas Okie is reviewed at NPR. In the New Republic is a review of Ganesh Sitaraman's The Crisis of the Middle-Class Constitution: Why Economic Inequality Threatens Our Republic. Also in the New Republic is a piece by Kim Phillips-Fein on the echoes of the 1970's New York fiscal crisis in the Trump austerity budget. The London Review of Books has a review of H.W. 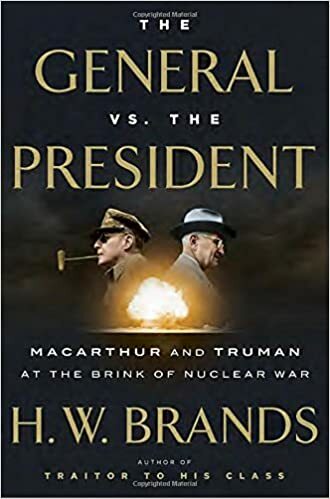 Brands' The General vs. the President: MacArthur and Truman at the Brink of Nuclear War. Also reviewed in the London Review of Books is Yuri Slezkine's genre-defying The House of Government: A Saga of the Russian Revolution. 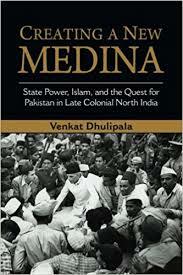 At the Marginalia Review of Books is a review of Venkat Dhulipala’s Creating a New Medina: State Power, Islam, and the Quest for Pakistan in Late Colonial North India. Finally, at the Boston Review is a review of Enzo Traverso's Left-Wing Melancholia: Marxism, History, and Memory. Have you registered for ASLH 2017? We have. From the Washington Post's "Made by History" section: Noah Shusterman (Chinese University of Hong Kong), "Bastille Day reminds us that our Second Amendment debates are distorted"; Leif Frederickson, "Scott Pruitt is wrong about the origins of the EPA"; Gregory Downs (UC Davis), "Why the second American Revolution deserves as much attention as the first"; and more. From the Legal History Miscellany: two summer posts on coroners' inquests in English history--this by Cassie Watson on suicide and medico-legal experts and this by Krista Kesselring on deaths in custody. Jed Shugerman, Fordham Law School, has posted his “historical tables/lists on major elected officials with prosecutorial backgrounds, 1880-2017,” which are part of his book project, “The Rise of the Prosecutor Politicians.” What the Prison Policy Center made of them, for the recent American politics of “law and order” is here. This paper is about a way of thinking about criminal process, with bits and pieces of criminal process making an appearance for illustrative purposes. Actually, it’s about two ways of thinking about criminal process, from parallel perspectives that correspond to two modes of state governance, law and police, characteristic of the law state (Rechtsstaat) and the police state (Polizeistaat), respectively. Using comparative-historical analysis, this chapter, locates the study of criminal process within the two-track project of critical analysis of penal power in the modern liberal state as penal law and penal police: the dual penal state. Illustrations include lay participation, plea bargaining, the legality principle, habeas corpus, and possession offenses, among others. This article analyses and compares the defences, verdicts and punishments of both men and women tried at the Old Bailey for the murder of their spouses or common-law partners from 1674 to 1790, a period that witnessed the gradual if ultimately momentous ‘lawyerisation’ of criminal trial. The vast majority of these cases continued, however, to resemble ‘sentencing hearings’, focusing less on an adversarial contest over guilt or innocence than on mitigating circumstances and the character of defendants, witnesses and victims. While an emerging eighteenth-century culture of sensibility contributed to a decriminalisation of female passion and sexuality, these trials also testify to the continuity and vitality of a discretionary regime and more resilient assumptions about gender and class. In marked contrast with the handful of sensational murder trials that generated media attention and outrage and tended to end in execution, a large proportion of these more pedestrian and representative cases of domestic homicide—particularly women accused of murdering husbands after 1740—ended in acquittal or manslaughter verdicts, especially in cases where provocation could be established. This study suggests that this relative lenience speaks less to the compassion accorded to defendants than a lack of sympathetic identification with their largely working-class victims, especially those of perceived bad character. Legal history is having a methodological moment. So is law (and, as it turns out, history as well). And not just in one country or legal system but across the common law/civil law divide. In this essay I try to capture some aspects of this methodological moment—or moments— and then to add some reflections of my own that locate legal history within the enterprise of legal scholarship. More specifically, I will outline an approach to legal history that regards historical analysis as one mode of critical analysis of law, along with other modes of “interdisciplinary” analysis (economical, philosophical, sociological, literary, etc.) and “doctrinal” analysis. In this way, legal history plays a key role in the general effort to move beyond the long-standing and rhetorically useful, but ultimately unproductive, distinction between “modern” and “traditional” legal scholarship, and that between “common law” and “civil law” scholarship besides. According to this view of legal history, it is a mode of jurisprudence (in fact, we might call it New Historical Jurisprudence) rather than a sub-specialty of law or a form of applied history. Joshua will reflect on the role of "leading cases" in forming the common law tradition, and re-examine the mode of historical analysis of cases pioneered by AWB Simpson. Simpson's historicisations dipped the law in cynical acid, using the surrounding context of court cases to show how accidental or arbitrary the doctrines of the law could be. Another approach, more familiar from the Cambridge schools of political thought from Maitland to Skinner, is to site legal ideas in an intellectual longue durée, and then show how later actors changed and adapted the original meaning of old cases for political ends. In this seminar we will look at some examples drawn from equity and trusts, including cases establishing key principles of charitable trusts, floating charges, and fiduciary duties of loyalty. Possible applications of old jurisprudence to current controversies, such as First Nation rights, will conclude the discussion. In a recent Weekend Roundup, we noted the New York Times op-ed on the Emoluments Clause by Joshua Blackman and Seth Barrett Tillman (as well as John Mikhail’s paper on how dictionaries published between 1523 and 1806 defined "emoluments"). The legal historians Gautham Rao and Jed Handelsman Shugerman have now replied to Blackman and Tillman in Slate. For centuries, human bodies and their parts have been used for scientific and medical research, as a source of transplant organs and even for the creation of artistic works. Human tissue is taken, tested and stored during forensic investigations and stored in databases across the country. We can examine the DNA in almost any cell of the body to yield personal information, while increasingly tissue's importance for research and the production of treatments has seen it become an item of commerce. Tissue is both object and information, laden with psychological, cultural and emotional significance while also being a tool that is used daily in medicine, criminal investigations and research. Its use presents complex challenges for legal regulation. As a result common law legal systems have so far struggled to produce a coherent, principled approach to regulating the use of human body parts. Drawing on the fields of ethics, law and history, the author develops an interdisciplinary and holistic account of the challenges arising from human tissue use and the options for regulation. 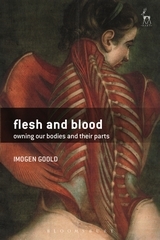 Part one of the book contextualizes the difficult issues surrounding the use of human tissue by presenting an historical account of how we have dealt with bodies and their parts since ancient times. Part two provides a detailed examination of the law covering tissue use in the United Kingdom, Australia and the United States. Part three explores the range of regulatory mechanisms that might be applied to human tissue, focusing on the notion of property at common law. The book concludes by analysing how property principles might be applied to human tissue and argues for why they should be. 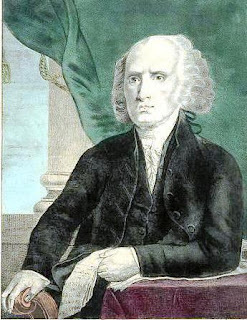 When introducing the Bill of Rights in Congress, James Madison explained that judges would “consider themselves in a peculiar manner the guardians” of those enumerated rights. This famous passage, often treated as authoritative, is conventionally understood to endorse the judicial enforceability of enumerated rights and deny the judicial enforceability of unenumerated rights. Enumeration, in other words, is considered as both a necessary and a sufficient condition for the judicial enforcement of rights against contrary legislation. This Essay disputes each of these orthodox views. Instead, it argues, Madison was commenting on judicial psychology and judicial politics, not judicial duty. Enumeration, in short, would facilitate the enforcement of rights, even if judges were already legally obliged to uphold them. Moreover, this Essay argues, both Madison’s proposed bill of rights and his speech in support were deliberately noncommittal about the legal significance of enumeration. Addressing an audience that had conflicting views on that issue, he drafted and defended the Bill of Rights to obtain support from all sides. Consequently, neither the Bill of Rights nor Madison’s advocacy reveal whether, legally speaking, enumeration is a necessary or sufficient condition for the judicial enforcement of rights against contrary legislation. Opal on "Andrew Jackson, the Rule of Law, and the American Nation"
Most Americans know Andrew Jackson as a frontier rebel against political and diplomatic norms, a "populist" champion of ordinary people against the elitist legacy of the Founding Fathers. Many date the onset of American democracy to his 1829 inauguration. Despite his reverence for the "sovereign people," however, Jackson spent much of his career limiting that sovereignty, imposing new and often unpopular legal regimes over American lands and markets. He made his name as a lawyer, businessman, and official along the Carolina and Tennessee frontiers, at times ejecting white squatters from native lands and returning slaves to native planters in the name of federal authority and international law. On the other hand, he waged total war on the Cherokees and Creeks who terrorized western settlements and raged at the national statesmen who refused to "avenge the blood" of innocent colonists. During the long war in the south and west from 1811 to 1818 he brushed aside legal restraints on holy genocide and mass retaliation, presenting himself as the only man who would protect white families from hostile empires, "heathen" warriors, and rebellious slaves. He became a towering hero to those who saw the United States as uniquely lawful and victimized. And he used that legend to beat back a range of political, economic, and moral alternatives for the republican future. Drawing from new evidence about Jackson and the southern frontiers, Avenging the People boldly reinterprets the grim and principled man whose version of American nationhood continues to shape American democracy. Lawyers and judges often make arguments based on history - on the authority of precedent and original constitutional understandings. They argue both to preserve the inspirational, heroic past and to discard its darker pieces - such as feudalism and slavery, the tyranny of princes and priests, and the subordination of women. In doing so, lawyers tame the unruly, ugly, embarrassing elements of the past, smoothing them into reassuring tales of progress. 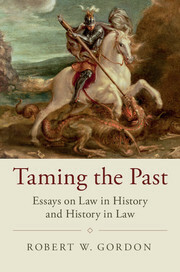 In a series of essays and lectures written over forty years, Robert W. Gordon describes and analyses how lawyers approach the past and the strategies they use to recruit history for present use while erasing or keeping at bay its threatening or inconvenient aspects. Together, the corpus of work featured in Taming the Past offers an analysis of American law and society and its leading historians since 1900. The Studies in Legal History Series website has additional content, including clips of interviews with Professor Gordon about the book. Relatedly, in the NYRB, James Oakes reviews two of Sidney Blumenthal’s books about Lincoln: A Self-Made Man: The Political Life of Abraham Lincoln, 1809–1849 and Wrestling with His Angel: The Political Life of Abraham Lincoln, 1849–1856. Bryan Stevenson also engages with the history of lynching in A Presumption of Guilt, which references Sherrilyn Ifill’s On the Courthouse Lawn and Devin Allen’s A Beautiful Ghetto. 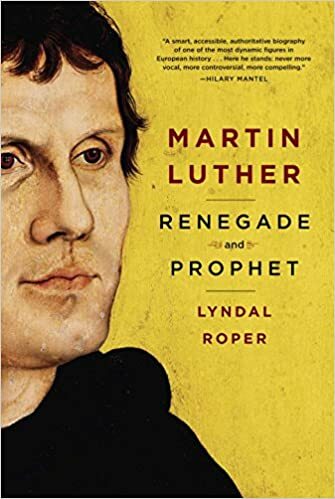 In the Nation, Elizabeth Bruenig reviews several books on the reformation (Martin Luther: Renegade and Prophet by Lyndal Roper; The Protestants: The Faith That Made the Modern World by Alec Ryrie; L﻿uther and His Progeny: 500 Years of Protestantism and Its Consequences for Church, State, and Society John C. Rao, ed. ), positing a thesis that will please religious historians: “Theology is morality is politics is law—and whether or not it’s immediately obvious, the world is steeped in theology.” Jedidiah Purdy also reviews ﻿ Ganesh Sitaraman’s new book, The Crisis of the Middle-Class Constitution, which argues, according to Purdy, that “the Constitution was written and adopted with the understanding that the political system it established could only work in a fairly equal economy, with no vast concentration of wealth and power at the top, no wasteland of poverty and exploitation.” (Also referenced here and here). Chris Maisano’s The Fall of Working Class New York, in Jacobin, reviews Kim Phillips-Fein’s Fear City: New York’s Fiscal Crisis and the Rise of Austerity Politics, “an excellent new book on the 1970s New York City fiscal crisis.” (Tim Shenk reviews the book here too, and Fein’s book is also quoted in this discussion of the 1977 blackout). In the LARB, Darryl Holter reviews On Tyranny: Twenty Lessons from the Twentieth Century (which is “not really a book at all. It’s really a manifesto: an opinionated and passionate call to action”). In the Guardian, Sofka Zinovieff reviews Last Hope Island by Lynne Olson (“an outsider with a keen sense of justice”), and Colm Tóibín reviews two books about James Joyce’s use of the law (Joyce in Court and The Ulysses Trials: Beauty and Truth Meet the Law), concluding that law helped Joyce “add spice to his work in progress, and to anchor it further in life in all its variety, particularity and strangeness.”Additionally, the New Books Network provides audible reviews of Max Krochmal’s Blue Texas: The Making of a Multiracial Democratic Coalition in the Civil Rights Era, Kiran Klaus Patel’s The New Deal: A Global History; Sarah Eltantawi’s Shari’ah on Trial: Northern Nigeria’s Islamic Revolution; Robert M. Browning Jr. Lincoln’s Trident: The West Gulf Blockading Squadron during the Civil War; William Davenport Mercer’s Diminishing the Bill of Rights: Barron v. Baltimore and the Foundations of American Liberty, and David R. Mahew’s The Imprint of Congress. 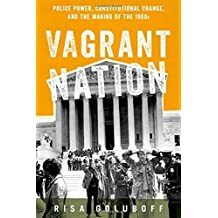 And finally, while we don’t always canvas the law reviews for these roundups, its hard to resist sharing this review of Risa Goluboff’s Vagrant Nation. In it, Tracey Meares revisits her 1998 article about constitutional criminal procedure, which argued that "a body of doctrine designed to ensure racial equality in law enforcement has now become an impediment to minority communities’ attempts to liberate themselves from rampant crime” and cautioned against “self defeating discretion skepticism.” Meares argues that “Goluboff appears to lament the Court’s inability to strike down vagrancy laws on the basis of substantive due process or something like it,” and adds that policing policy would feel no more equitable if courts had constrained it using fundamental rights principle, because “people place much more weight on how authorities exercise their power than on the ends for which that power is exercised.” Meares review also includes a detailed, if disheartening, review of New York City’s stop and frisk policy and the litigation that challenged it. James O'Fallon, formerly a law professor at the University of Oregon, has died. His publications include Nature’s Justice: Writing of William O. Douglas (Oregon State University Press, 2000), and “Marbury,” Stanford Law Review 44 (1992): 219-260. Attention Scalia, J., biographers: in an anecdote recounted here at 1:23, the director David O. Russell disrupts the justice's appearance in Hadley Arkes's class at Amherst. We continue to find items of interest in the Washington Post's "Made by History" section, including a piece by Martha Jones (Johns Hopkins) on the 14th Amendment and citizenship, Carly Goodman (American Friends Service Committee) on the "Diversity Visa" program, and Keisha Blain (University of Pittsburgh) on the connection between historical campaigns for anti-lynching laws and today's police violence. The Cold War International History Project (CWIHP) at the Woodrow Wilson Center is currently accepting internship applications for the Fall 2017 semester. Additional details and application instructions. ICYMI: Annette Gordon Reed's writing routines; Josh Blackman and Seth Barrett Tillman, Yes, Trump Can Accept Gifts, New York Times, July 13, 2017. And, over at Balkinization, Georgetown Law’s John Mikhail presents the abstract for his SSRN paper, The Definition of "Emolument" in English Language and Legal Dictionaries, 1523-1806, together with some tables and figures summarizing its main findings showing “why the Trump Justice Department’s narrow definition of ‘emolument’ in CREW v. Trump cannot withstand scrutiny." The Edinburgh Legal History Blog published John W. Cairns’s laureation address upon the occasion of the University of Edinburgh’s conferral of the degree of LL.D. honoris causa to Professor Wolfgang Ernst, Regius Professor of Civil Law in the University of Oxford. The conferral of the degree upon Professor Ernst and of doctorates upon two Ph.D. students in legal history–Asya Ostroukh, for“Reception of the French Civil Code in Francophone Switzerland, Louisiana, and Quebec: A Socio-Legal Study," and Ilya Kotlyar, for “The Influence of the European Jus Commune on the Scots law of succession to moveables: 1560-1700”–“encouraged the Centre for Legal History, with the support of the School of Law, to organise a small conference entitled ‘Directions in Legal History and Roman Law,’ involving the new graduates and some current PhD students, to showcase the diversity of the research in the Centre." Professor Cairn’s illustrated report is here. Roberts's "Four Crises of American Democracy"
Mayeri reviews Nadasen, "Household Workers Unite"
Lambert's "Law and Order in Anglo-Saxon England"